Dad Hemsworth is the best Hemsworth. 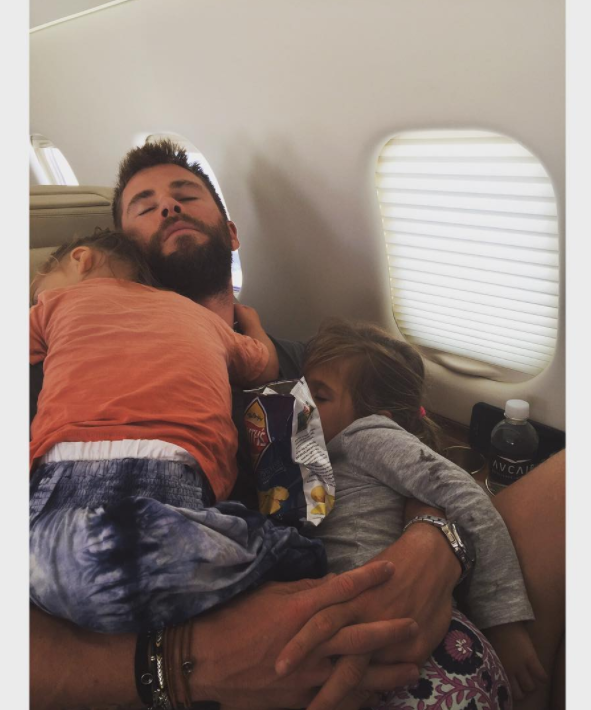 It's well established that Chris Hemsworth is a completely adorable dad. Well, gird your ovaries, because his wife, Elsa Pataky, recently shared a picture that is a whole new level of cute. 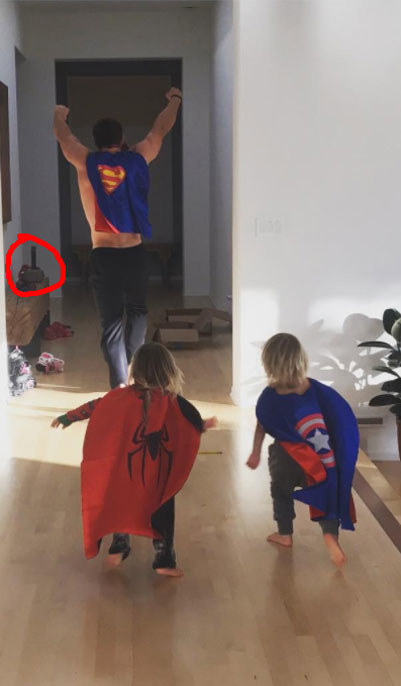 Yes, that is shirtless Thor, dressed as Superman, running around with his twin sons Captain America and Spider-Man. With Mjölnir just chilling in the background. Elsa captioned the photo "superhero camp! ".